With the Sim Pedals Sprint being able to cope with high brake loads, a sturdy mount to your simulator rig is an absolute must. If you do not want mount the pedals directly to your rig but want to put them on a baseplate first, we offer an optional rigid mounting solution. The Sim Pedals Sprint baseplate allows for flexible positioning of individual pedals and also comes with an adjustable heel plate. 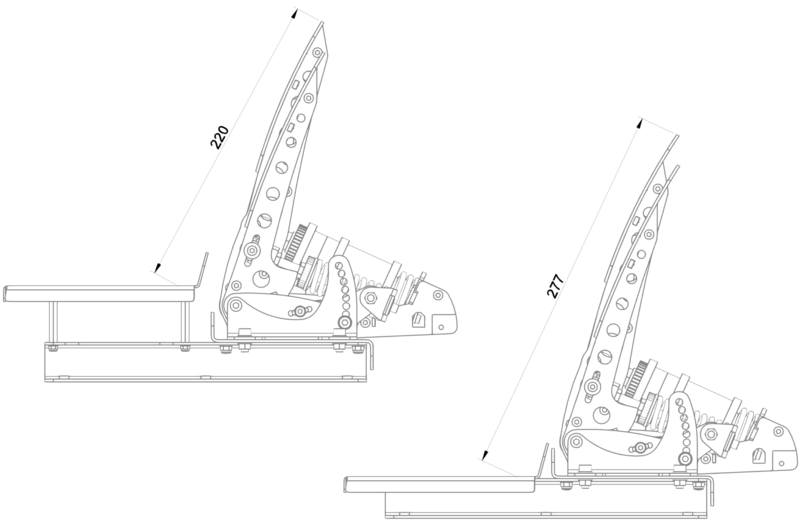 With the brake of the Sim Pedals Sprint being able to cope with up to 65kg of force, standard pedal mounting plates of rigs often show excessive flex under these loads. This baseplate helps to create a solid platform to mount the pedals on your rig. 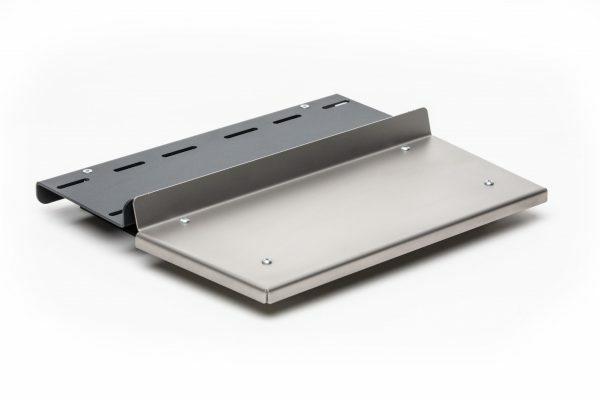 The baseplate assembly consists of multiple elements: A pedal plate on which you mount the pedals, a height adjustable heel plate as well as two brackets which are used to secure the baseplate to an underlying frame. 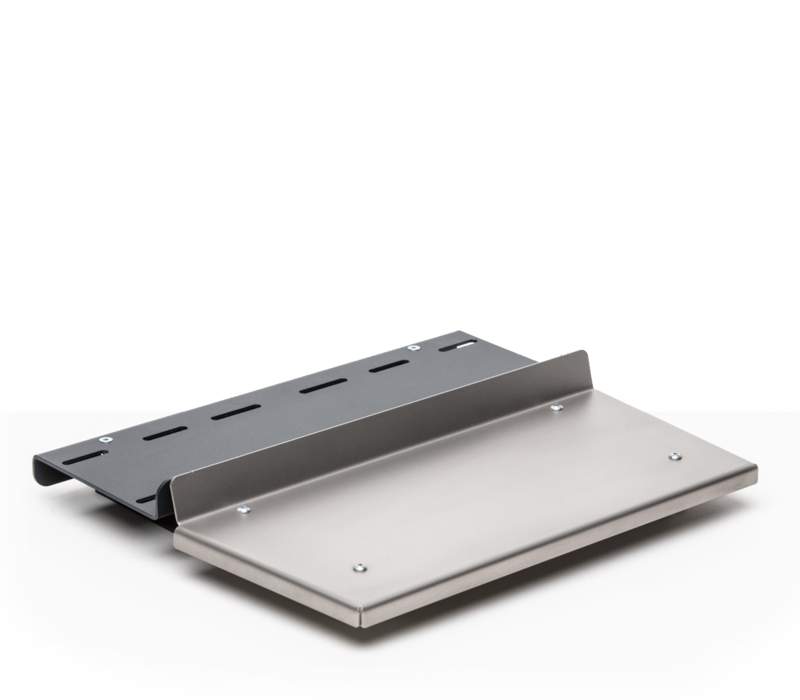 Mounting hardware is supplied to mount the pedals to the baseplate, as well as hardware to mount the baseplate to a 6mm thick underlying plate. 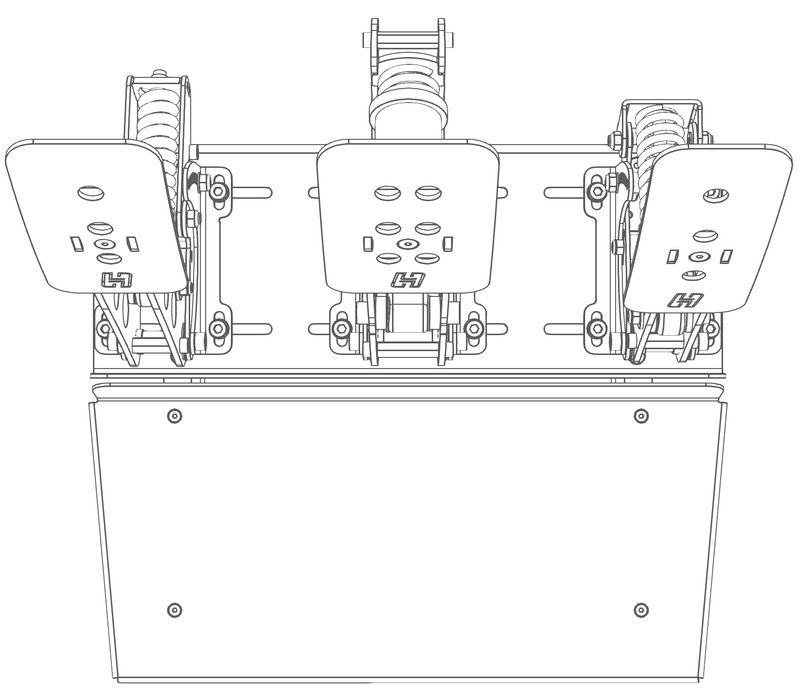 The baseplate mounting points for the pedals are slots allowing for lateral adjustment of individual pedals. 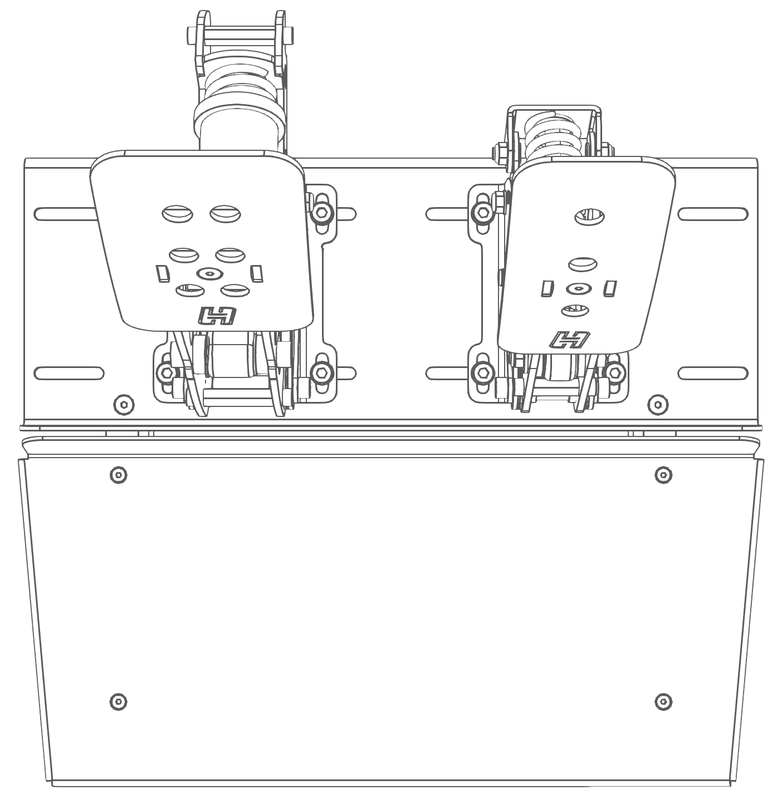 The dimensions of these lateral slots are 29mm for the brake and 24mm for the throttle and clutch. Every single pedal can also be adjusted 12,5mm backwards and forwards through the slots in the pedal feet themselves. The heel plate on the Sim Pedals Sprint Baseplate is height adjustable. 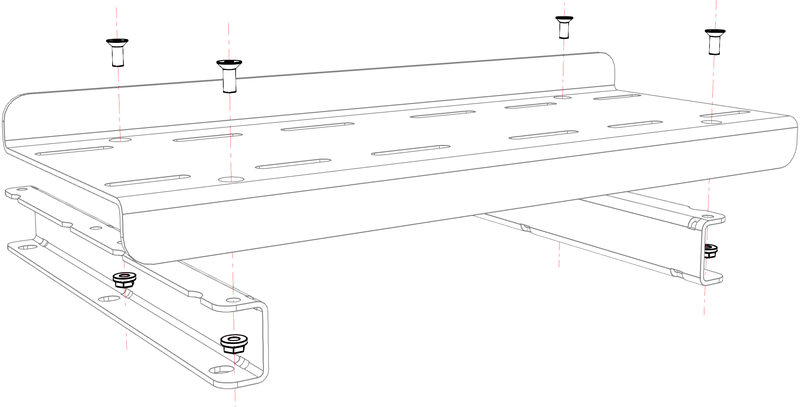 You can either put it in the default position (0mm elevation), or use spacers to raise it. 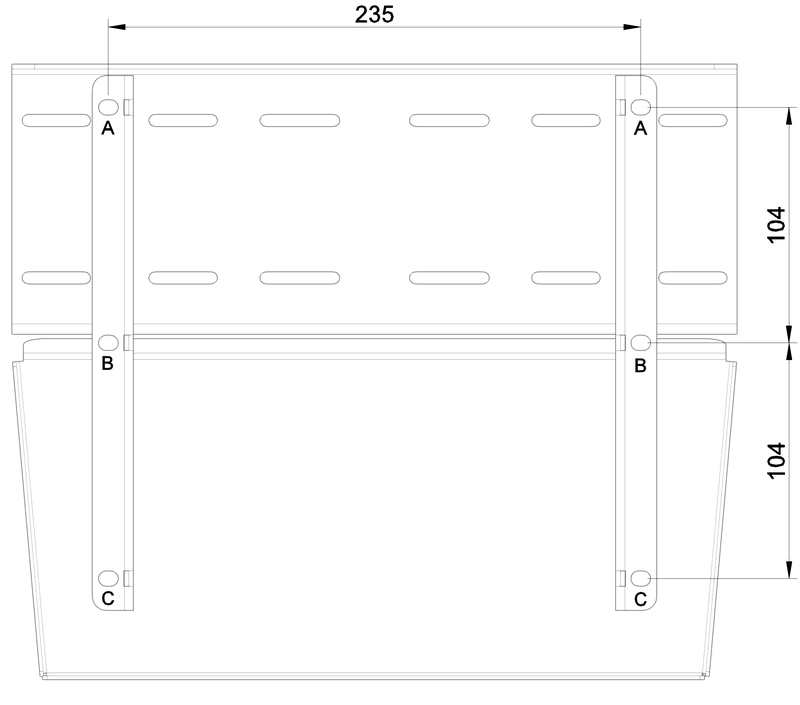 Two types of spacers (20mm and 40mm) are supplied in order to put the heel plate in an elevated position. This baseplate is only compatible with our Sim Pedals Sprint product. 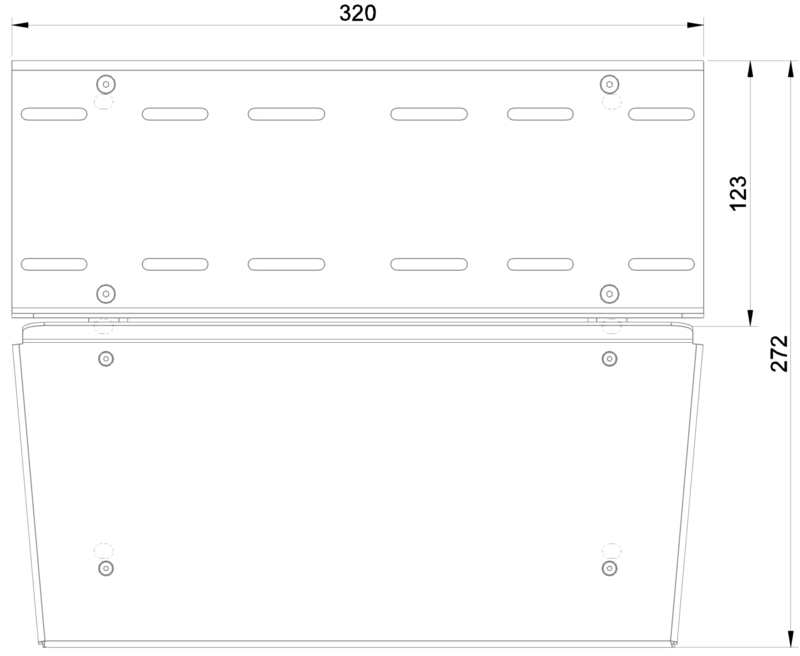 The mounting holes on the brackets are compatible with TM T3PA and T3PA Pro (235mm) pedal sets. Six mounting points on the brackets are provided in total, giving plenty of options mount the baseplate to aluminium profiles or create your own drilling template to install the baseplate to your rig. 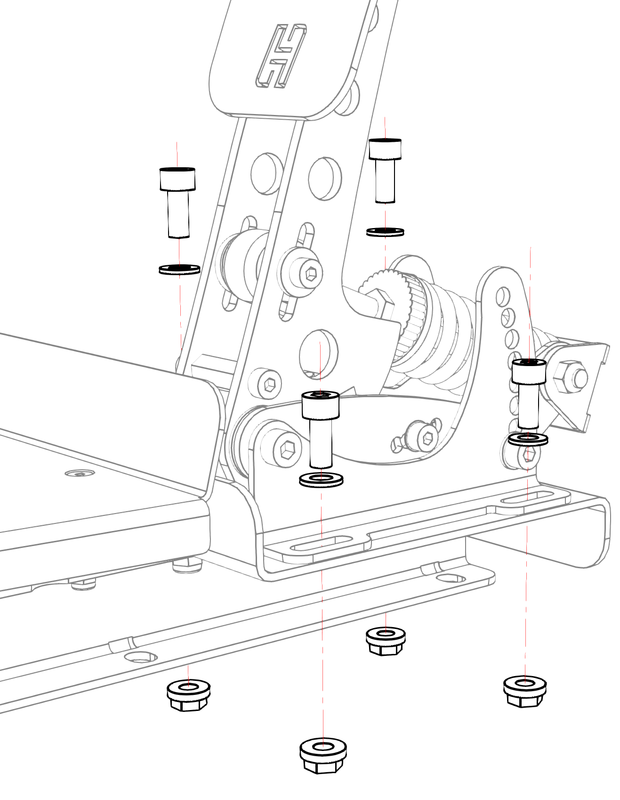 Please note that this baseplate does not allow you to install the pedals on a floor without further support, or in a wheel stand where there is no solid connection between the pedals and the seat. A full frame rig/simulator is always required. You can find the product manual and tutorial videos in the Support section of our website. A printed manual is included with every baseplate.